Posted by Carolyn Burns Bass in fiction, historical fiction, mystery. This week in LitChat we’re discussing mysteries set in historical periods. Joining us as guest host on Friday, May 7, is Tasha Alexander. Alexander’s first book, And Only To Deceive, drew on the premise of a young Victorian-era noblewoman who falls in love with the husband she barely knew after his death. Reading through his diaries, she becomes convinced that his death was not an accident and defies Victorian conventions by setting out on her own to find out what happened. Not only does Lady Emily uncover her husband’s murderer, she finds a way of life that leads to romance and mystery in subsequent books. Tears of Pearl, Alexander’s fourth novel in the series featuring Lady Emily, finds the amateur sleuth on honeymoon with new husband, Colin Hargreaves, a special investigator for the Crown. When the honeymoon is interrupted by the death of a harem girl of British descent, the duo’s honeymoon turns into a diplomatic mission to investigate the crime. Lady Emily is ushered into the world of the harem, where men are forbidden and western women rarely have access. 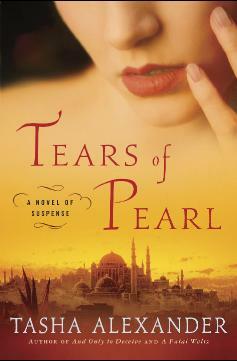 Reading like a vivid travelogue with sharp historical detail, Tears of Pearl offers a mystery with history and romance as sweet as strong Turkish coffee. Tasha Alexander attended the University of Notre Dame, where she signed on as an English major in order to have a legitimate excuse for spending all her time reading. She lived in Amsterdam, London, Wyoming, Vermont, Connecticut and Tennessee before settling in Chicago, where she lives with her fiancé, novelist Andrew Grant. 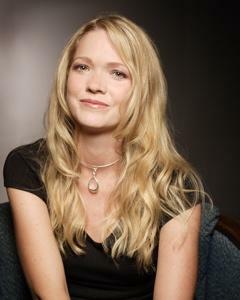 In addition to the Lady Emily mysteries, she is also the author of Elizabeth: The Golden Age, the novel companion to the film of the same title. Follow Tasha Alexander on Twitter at @talexander.